Collins Booksellers - Acting Shakespeare is Outrageous! by Herb Parker, 9781351816441. Buy this book online. Performing the work of William Shakespeare can be daunting to new actors. 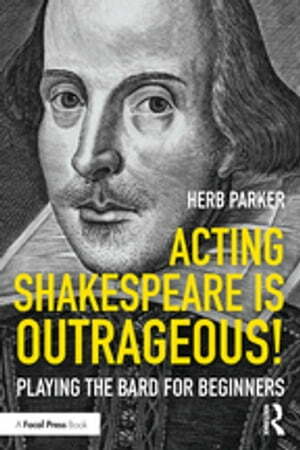 Author Herb Parker posits that his work is played easier if actors think of the plays as happening out of outrageous situations, and remember just how non-realistic and presentational Shakespeare’s plays were meant to be performed. The plays are driven by language and the spoken word, and the themes and plots are absolutely out of the ordinary and fantastic—the very definition of outrageous. With exercises, improvisations, and coaching points, Acting Shakespeare is Outrageous! helps actors use the words Shakespeare wrote as a tool to perform him, and to create exciting and moving performances.